Iron Oxide Pigment - MUHU (China) Co., Ltd.
Itsmolecular formula is Fe2O3. It’s an inorganic pigment that has strong tintingability, good dispersive effect, heat endurance and anti-weathering ability. It’snot soluble to water and organic solvents. There’s no color infiltration. Itcan enhance the anti-corrosion ability of paint. Moreover, it has no influenceon the sulfidizing process of rubber products. It’s available in multiplecolors. 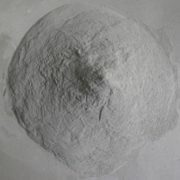 Withalkali resistance grade of 4-5, it’s stable when used together with cement,lime and other common construction materials. It has no efflorescence on cementproducts and bears no effect on strength. Itretains due stability against weak and diluted acid, but not strong acid. It’sperfectly resistant to sunlight. There’s no color fading even under intensivesunlight for long time. Sunlight resistance grade is 6 to 7. Thecolor remains impervious to heat. After special treatment, it can endure 800degree C at highest.